Blood Forest, released by WiDo Publishing, is now available on paperback and Kindle, both through Amazon. Get it now, and be sure to write a review! Blood Forest Set To Be Published! Great news fans! 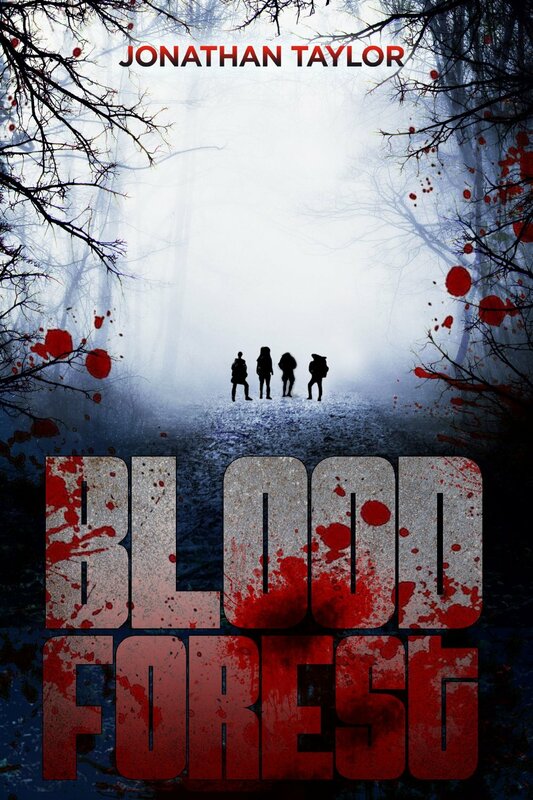 My first in-print novel, “Blood Forest”, is set to be published by WiDo Publishing. Stay tuned for our press schedule and how you can buy the next best release in thrillers! Blood Forest is an adventure set deep in the Congo where the BaMbuti (better known as Pygmies) are rapidly disappearing and a series of cruel militia armies fight for territory and blood. A pharmaceutical expedition comes to the area searching for a rare orchid and finds itself in a stretch of swamp rumored to be cursed by the locals. They call it Msitu Wa Damu or Forest of Blood. Something in this forest haunts all those that enter driving man and beast alike into madness. Jonathan Taylor is a rising author in the thriller genre. He combines heavy research with rich, compelling characters to bring real, believable adventures to his readers. Every book is an unforgettable journey into the unknown. Blood Forest is available though WiDo Publishing. Find it on Amazon. Blood Forest is now available on Kindle.